Norma Mathes Knight, 97, of Edgewater and previously of Long Island, passed away on Sunday, September 2, 2018. Born on April 30, 1921, to the late William and Norma Hayes, she was a graduate of Jamaica High School in New York. 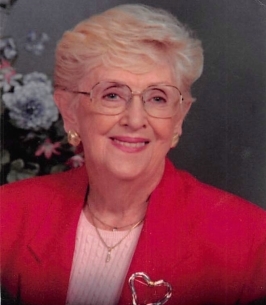 Norma was the co-founder of Mathes Auto and Marine Parts in Kings Park, NY. She is a past parishioner at Holy Family Catholic Church in Davidsonville, and St. Joseph's Catholic Church in Kings Park. She was a previous vice-president of the Kings Park, NY Chamber of Commerce and the Chamber's 1995 Woman of the Year for her outstanding service and commitment to others. Norma enjoyed life to the fullest, always being surrounded by friends, and loved planning parties for friends and family. In addition to her parents she was predeceased by her first husband, Harold Mathes in 1986, and her second husband, Walter Knight in 2001; a daughter, Maryland Mathes and a brother, Arthur Hayes. Norma is survived by her children, William (Cecile) Mathes of Monroe, NC and Patricia (Peter Schanck) Moriarty of Edgewater; five grandchildren and five great-grandchildren. A memorial service will be held at St. Philip Neri in Northport, NY on Monday, September 10, 2018. In lieu of flowers, pay an act of kindness forward in Norma's honor. Provide comfort for the family of Norma Elizabeth Knight by sending flowers. Patty and Pete. We were saddened by the news of Norma's passing. She was a delight as a neighbor and friend. She lived a full and meaningful life and know that she was loved and will be missed. We hope that your loss will be lessened by knowing that she spread happiness wherever she went. We are thinking of you during this difficult time.